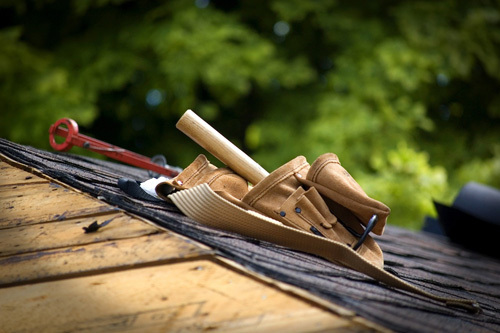 Let the professionals at Averie Construction handle all your roofing needs. Get your new roof installed by experienced professionals. If your roof is failing to deliver, it’s not something you can put off dealing with. You need a skilled company that can make the necessary repairs and swap out damaged parts for new ones. You need Averie Construction. Averie Construction is staffed by highly experienced, qualified roofers. Over the years, we’ve worked hard to build up a portfolio that includes roofing projects of all shapes and sizes. We’ve installed and maintained homes and businesses, and are a top choice in town for expert roofing work. At Averie Construction, we stock a wide range of roofing materials to accommodate the diverse needs of our clients. Every type is different, so the one you choose depends on a few different factors. Whether you are constructing a new building or doing maintenance on an existing one, let Averie Construction take care of the roofing. Without the proper certification, there’s simply no way to safely work on your own roof, so why not go with a company that has a strong history of providing well-made roofing solutions? Your source for Local, Professional,Roofing Services.